Every so often a peripatetic reader such as myself comes across a book that stays in mind long after the finish, one to which you surreptitiously return, guiltily knowing you are not reducing the waiting bedside pile by dipping again into one already read. But you can’t resist. You want to recapture the engagement and delight and surprise of your first reading. A Gentleman in Moscow fulfills that role for me as, so I find, it does for many. For within a well-crafted story told with aplomb and a very light touch, displaying considerable skill in its philosophical discourses, is one of the most subtle recreations and scathing denunciations of the evils of living under communism. As such, I bring it to Quadrant in appreciation of those founders of this magazine who fought the battle for cultural freedom here long ago and to suggest that this book can assist us still with the ongoing fight. Yet this is no gulag account, no historical detailing of atrocities and dispossession, no Russian tale of an exile’s despair in a cruel political winter somewhere in Siberia’s icy grip. In this novel, no Zhivago adds to the great gloom of Russia’s weighty literary heritage. Instead, we meet the Count, one of the most cheery fellows ever invited into your life. Welcome to the world of Count Alexander Ilyich Rostov, recipient of the Order of Saint Andrew, member of the Jockey Club, Master of the Hunt, born in October 1889 in St. Petersburg, a name he insists upon, rather than Leningrad. From the start we are clear that our Count is a man you should not insult, because he just may demand satisfaction on the field of honor, the proviso being that their opponents must be sufficiently well-bred to be worthy of such an aristocratic quest for satisfaction. Opportunities for dueling are limited, however, as it is 1922 and the Count has just been declared by an Emergency Committee of the People’s Commissariat for Internal Affairs to be a “Former Person”. As such he is sentenced to spend the rest of his life under house arrest in his current residence, in the attic rather than his former suite, inside Moscow’s Hotel Metropol, directly opposite the Bolshoi, both buildings dominating Theatre Square, a civic expanse at the end of Tverskaya Street. Tverskaya Street, the end of the four hundred and forty mile route from the Baltic port city of St. Petersburg to the inward-looking land-locked site of ancient Moscow. Tverskaya Street, on the corner of Theatre Square, overlooking the fortress of the Kremlin and the Byzantine spires of St. Basil’s, I recall to myself. I stayed there with my husband only four years ago in the Ritz-Carlton, one floor below its infamous and Trump dossier’d Presidential Suite, where the existence of such a suite serves to indicate our hotel’s similarities to the Count’s Metropol, in this novel the international hub of Soviet Moscow. For the Ritz-Carlton is a similar old-style rococo five-star affair, from which we too were unable (temporarily in our case) to depart, as we attempted to head out clutching tickets to the Bolshoi, because the main doorway was blocked by a back-up mile of incredibly noisy Russian tanks front-loaded with a huge Inter-Continental Ballistic Missile parked outside our hotel’s main entrance, ready for the May Parade that still celebrates the end of Russia’s Great Patriotic War. There is always, I thought, the reactive shudder of history running down the spine when in Russia, and Towles captures that so well. But let us be clear from the start: A Gentleman in Moscow is a novel in the form of a fable, a morality tale, an allegory rather than an historical work, and I am late to the party. I write now though because there are things to add from a conservative’s perspective that are often overlooked. And I write, too, because this novel is set to become a classic, for its wide-ranging prose incites a reader’s personal involvement, as only great literature manages to do. “The idea that the publication of a new novel by a leading author or the latest production by a noted playwright would be a huge cultural moment … now seems impossibly quaint’. A Gentleman in Moscow may prove him to be wrong. This might just be that book. It speaks to the heart of all people’s desire for a moral compass, and offers one that is founded on proper upbringing, on civility, on honesty and on due respect for what has gone before. It holds up a torch for freedom of thought, freedom of speech, freedom from oppressive regulatory oversight, and freedom from terror. In amongst today’s literary dross and our universities of mass unreason, what a relief to see this: a yesteryear book, with a whimsical antique charm, replete with moral rectitude, good manners and the evocation of scenes in the manner of the nineteenth century ‘Greats’. It’s Tolstoy and Dickens, without the really boring bits. First published in 2016, A Gentleman has already made an impact, being widely and mostly favorably reviewed in the major press. Then, when I check on Amazon, this book boasts no fewer than 7,529 customer reviews (a huge number), helpfully divided into positives (6,951 reviews) and negatives (578). Numbers like this speak of a wide and commercial appeal, and given the episodic nature of the book I am not surprised to read there is a TV series mooted. We can only hope that it manages to do the book justice. The negatives, I hasten to add, come mainly from readers with Kindles. In a great error, the historical footnotes that for Towles are part of the gentlemanly authorial musing and integral to both staging and plot are apparently all inconveniently placed at the end in the Kindle versionbla. Some editor is answerable for that. There is actually a lot of very good history carefully shaped within this book, and the footnotes form part of Towles’ mode d’emploi in providing further ironic guidance en route for his less historically aware reader, as a gentleman of the Count’s calibre surely would wish his narrator to do. Indeed, the narration is constantly aware of the reader, voicing the Count, assisting and cajoling you into the plot, and what a joy that is. It’s an easy read. Even the Russian names are deliberately kept to a minimum of confusion about patronymics and diminutives. However, because Kindle readers are much in evidence amongst the positives too, the complaints of various negative reviewers that Towles lacks historical authenticity or accuracy cannot all be laid at this risible Kindle editor’s door. We must turn attention to what the reader brings to the table of the feast that is this book, for the Count is nothing if not an epicure and some historians and litterateurs apparently don’t like wasting time over leisurely dinners (in spite of the evidence of your own eyes to the contrary in any international five-star restaurant today). You will eat and imbibe well in this tale, so be prepared for the sumptuous descriptions of five-star food and wine and some pointed in vino veritas reflections on philosophy and the capricious hand of fate, tempered by the Count’s always sanguine approach to things. Be prepared also to keep your fear in check throughout, for in this Palm Court setting hangs always the dangling Damoclean sword of terror. The music is good too. Towles likes his jazz, but his classical taste also shines: Rachmaninoff’s Second Piano Concerto plays in a very appropriate moment, and for me, a discarded 78rmp recording of Vladimir Horowitz playing Tschaikovsky’s Piano Concerto Number One while Toscanini conducts, brought tears to my bedtime (as well as that of the Count). In the barren fields of culture where I grew up, it was finding that exact performance in an old pile of playable HMV 78rpm records that led me to think the world had much more to offer if I cared to find it. I reflect that all appreciative readers seem to find their own personal moment in this novel; that one was mine. But it’s simply time-wasting, all of this discursive scene-setting, say the naysayers, regardless of the clever staging and extremely fine writing. For look, they whine, the plot set in such a hotel is generally implausible, completely unlikely for the times and even insulting to the heroic memories of the multitude of communism’s victims. They bleat that the book skims over Moscow during the two world wars, which may be a fair point, even though these wars are not entirely ignored. They complain too that much of the Count’s survival is left unexplained, even though he does have his secret stash of gold coin. But what these critic blatantly fail to comprehend is that the book deliberately leaves much unsaid and that you, the reader, is in charge. What we do see is that the Count becomes a worker within the hotel and that his days sequence through these turbulent forty years of Russian life very well, from the Twenties to the Fifties, initially glancing back to Tolstoy’s world (Rostov is a Tolstoy name), drawing for its plot on the characters that pass through the hotel, or live within it, during these changing times. So the negatives raise a plaint that should fall on your deaf ears. To my mind, their misapplied critique about historical veracity is like suggesting that Orwell’s Animal Farm is deficient when it comes to the principles of farming. The positive reviews make it plain the book is tremendously admired when understood as a fable. I call it a constructed universe, subtly crafted by a master architect of literary form. Readers on Amazon make comparisons to Beauty and the Beast (with the Count standing in for Beauty in an allegory of good and evil), or see it as a many layered Scheherazade, weaving tales towards a denouement that surprises and enthralls, as the last third turns into a type of thriller with its satisfying sense of completion. It is slow-paced at first, but as it progresses you find nothing has been irrelevant. All is wound up in a page-turning cracker towards the end, once you’ve digested the hypocritical evils of communism quite thoroughly enough. In the beginning, the Count, as we see if we do our arithmetic, (something he, being a polymath in this as in other things, would encourage), is still a young man. In the five ‘books’ of this novel we follow his progress as he lives out his years in the Metropol, the place of Politburo gatherings that use the silver-service dinner settings of the old regime, carefully preserved for these newer and latest czars. Also present are the named Commissars of Soviet Industry and Culture, dining in the old piazza under its high-domed roof of glass or, even more glamorously, with the diplomats and foreign businessmen in the famous Boyarsky Restaurant, where our Count eventually becomes headwaiter. Throughout it all is the shadowy thread of a famous Russian actress, who drops her silken garments with a ‘whoosh’ for the Count as a solace to his isolation until the arrival of a six-year-old orphan girl brings them closer than they may have ever dreamed. This is a compensation, given that the Count and his ‘willowy’ love are forced by circumstance to accommodate to what Towles calls the ‘Confederacy of the Humbled’, that distressing place where many of us have dwelt in the progress of our lives, especially when ideology and petty carping strike an unfair blow. Meanwhile, the orphan child is saved from the unfeeling clutches of a State orphanage because one of those drab offense-collating petty bureaucrats we meet often in this novel is not sure of her parentage and dreads making a mistake. He leaves well alone, disregarding his particular informer’s bile, because if the child is as rumoured, the illegitimate offspring of a Politburo member, he recognises that his initiative to remove her might well be rewarded ‘with a blindfold and a cigarette’. As time goes by and as the Count ages, after the 1920’s Terror, the Five-Year Plans and great (but hidden) famine after the killing of the Kulaks, after the 1930’s purges, after the Great Patriotic War, after the full horror of the gulags, and after the death of Stalin, the Count’s countrymen take pride in being Russian, not comrades. It’s ‘more Russian than Red’, headlines one Amazon commenter and, to some extent I agree, but there is Red enough. We watch in horror as one of the Count’s friends whom we expect to continue in this story disappears forever, snap! Just like that, as did Zhivago’s Lara, into the gulags, leaving a deliberate hole in the middle of the book, just as such disappearances left holes in so many lives. We also see how and why the closest friend of our Count’s university years, a fervent albeit impulsive revolutionary poet, is also sent to the camps in that deadly ‘Realm of Second Thoughts’, to return a thoroughly broken man who never again uses the word ‘comrade’. His further punishment: a ‘Minus 6’ status (exile from all six major cities with no hope of work). “It is a pleasure meeting you,” said the Count, reaching across the table. 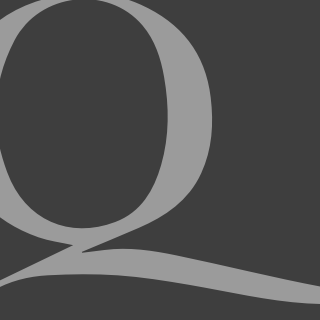 Osip wishes to comprehend the ways of the dissolute Eest and its Establishment leaders. The well-travelled Rostov is to teach him that. We see their relationship develop firstly through lessons on national characteristics, then on to the weighty (in both senses of the word) essays of Montaigne on American democracy (with Osip noting how backward the Americans are in ideology). They eventually progress to screening American Noir movies, by which time Osip is ready for Bogart in Casablanca. Which proves later to be most useful as he rounds up the usual suspects. For it is a universal truth that everywhere, well-meaning patriots can be brought to see and confront the evil that lurks deep in the totalitarian heart: something today’s students and their misled teachers might think about with regard to the misnomer we know as Antifa (the thuggish ‘anti-Fascist’ movement), our contemporary communist poison of the mind for the young and idealistic. Please, let them read and think upon this book. It should be on every high school reading list in Australia, with good accompanying notes, not any written by those occasional blind reviewers who see the book as some sort of escape from the politics of today, when it is actually a warning about creeping totalitarianism. For I know of no book that so perspicaciously (applying shades of Jane Austin) and with such droll humor manages to evoke what Hannah Arendt has called ‘the banality of evil’. 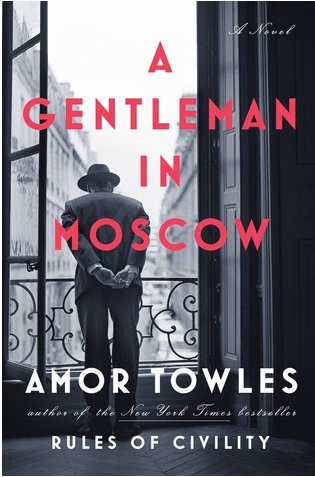 Written by a New Yorker who has spent his career as an investment professional in New York, A Gentleman is Amor Towles’ second novel in a late blooming. His first book, Rules of Civility, published in 2011, was a justly commended novel exploring pre-1945 Manhattan, with an eye even further back to Gatsby and forward to a bonfire of vanities. In Rules of Civility, he crisply skewers the achievements, flailings, failings and losses of the 1930’s Ivy League monde and aspirant demi-monde by following the lives of two young women, a sharp-tongued one from the wrong side of New York City’s tracks, the other a sassy middle-class adventuress in from Indiana. It’s good, it’s smart, it’s reflective, it’s well-written, and of import to us here for comprehending Towles’ oeuvre to date. Completely different in style and context, hints of Towles interest in Russia still emerge. Plus, in it we first meet the character of carefree and preppy young Dicky Vanderwhile, scion of the wealthy dynasty from Whileaway, who reappears later in ‘A Gentleman’ as diplomat Richard Vanderwhile, linking this old Manhattan family with Count Rostov from the great estate of Idlehour, where having time to while away an idle hour in thought turns out to be no bad thing. Such a set of rules brings us quite naturally to Jordan Peterson, a clinical psychologist and academic, currently offering a sold-out Australian lecture series on his book 12 Rules for Life: an Antidote to Chaos, outlining a new set of rules for our era, rules particularly suitable for young men, who attend in droves. Peterson’s rules too are gentlemanly. Both Peterson and Towles, in their varying ways, discern another universal truth: that young men need male role models and they need to believe in themselves. When chaos surrounds, a man needs to assert his capacity to create order within himself first. Especially is this so, says Peterson, in this increasingly feminized modern world of ours where many men are fatherless. Orphaned early, our Count makes constant reference to the words and character of his godfather and mentor, the Grand Duke Demidov, a man ‘who generally prized industry over nonsense’ and who imparted to the Count the advice ‘that if a man does not master his circumstances then he is bound to be mastered by them’, even if such mastery is taken in tiny steps over small things. That one must hold fast to one’s individual identity, a feature of character and not of things nor of birth, are themes of both Papa Washington and Peterson, as much as they are themes of Towles, and as they were, I would add, of the American vision of Martin Luther King. Exile within one’s own country, a motif of ‘A Gentleman’, is something felt by many in a fracturing US Republic. It should not be too late to at least discuss this. When it comes to character and identity, Peterson points out that the logical flaw of current diversity-mongering and the impulse to equalisation lies in its ‘intersectionality’ and encouragement of a snitching surveillance. Where do you end when dividing up people by traits and who decides on the traits? Who is to monitor and report on regulations determined to ensure we comply with such decisions? Let alone who is to regulate the regulators, in all of their petty spite and willing corruption? Peterson suggests we should jealously hold true to western culture’s greatest achievement, that it relies on what he calls in a recent interview a ‘general courageous trust’, without which we are ‘ruled by thugs’. I can only say that I think the Count would concur entirely.